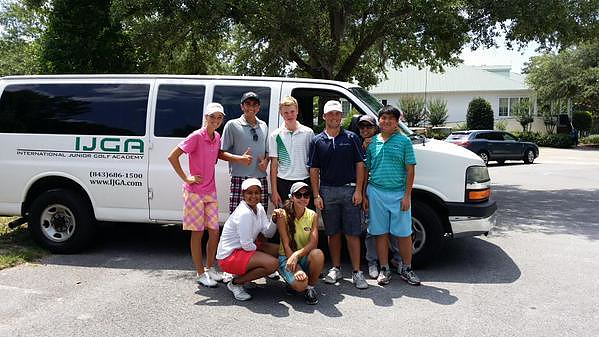 IJGA sponsored the first-ever Faldo Series U.S. Grand Final over Thanksgiving weekend at Bella Collina Golf Course in Monteverde, Florida. The event was an overwhelming success with four student-athletes earning a spot to play in the Faldo Series Asia Grand Final next March. Although it was the U.S. Grand Final, there were 22 different countries represented in the field when the festivities started Wednesday, November 22nd with a clinic given by none other than six-time major champion, Sir Nick Faldo. Following a banquet for the players was an inspiring speech given by Faldo on how he got into golf and what motivated him to play at the level that he did. With some ominous looking clouds Thursday morning, the first round seemed like it was going to be a little more eventful than the players may have imagined. But as fate would have it the clouds dissipated which opened the door for some impressive scores with multiple players shooting under par. Things got even better on Friday both for the weather and the scores with Teddy Tetak from Slovakia posting the low round of the day with an 8 under par 64. Weather continued to improve and made for a beautiful final round on Saturday with golfers taking full advantage. 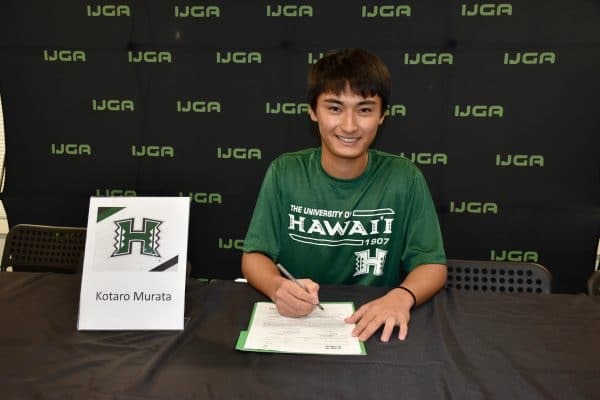 IJGA student Kotaro Murata from Japan shot the low round of the tournament with a very impressive 9 under par 63, followed by his teammates Luis Martinez from Venezuela and Tristan Galant from South Africa posting 7 under par 65’s. But just as impressive as the 63 from Murata was fellow IJGA athlete Navyug Rungta from India who joined IJGA this summer as a beginner and shot his best round of 80 on Saturday which shows some incredibly fast improvements by Rungta in the short time he has been at the academy. 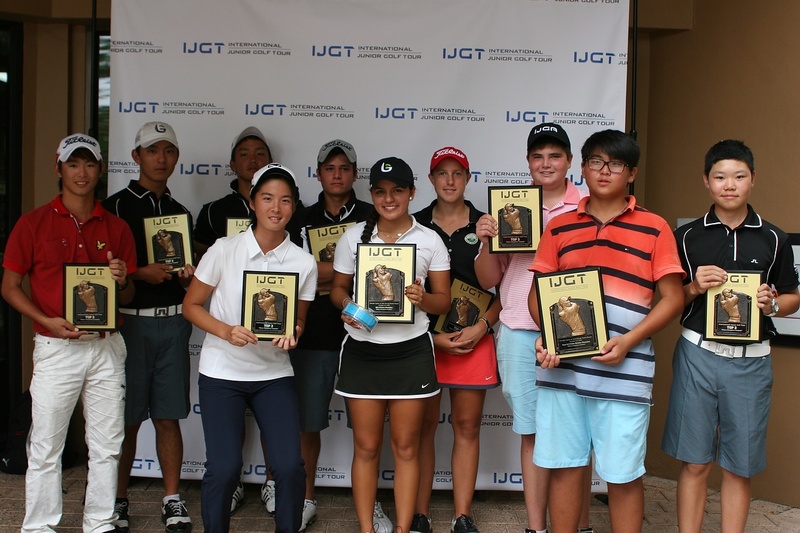 Bishops Gate Golf Academy Student Teddy Tetak held his lead and won the U18 Boys division, fellow BGGA students Annie Kim from Japan, Egor Zotov from Russia and Ying-Ting Hsieh of Taiwan won their respective divisions of U18 Girls, U16 Boys and U16 Girls. 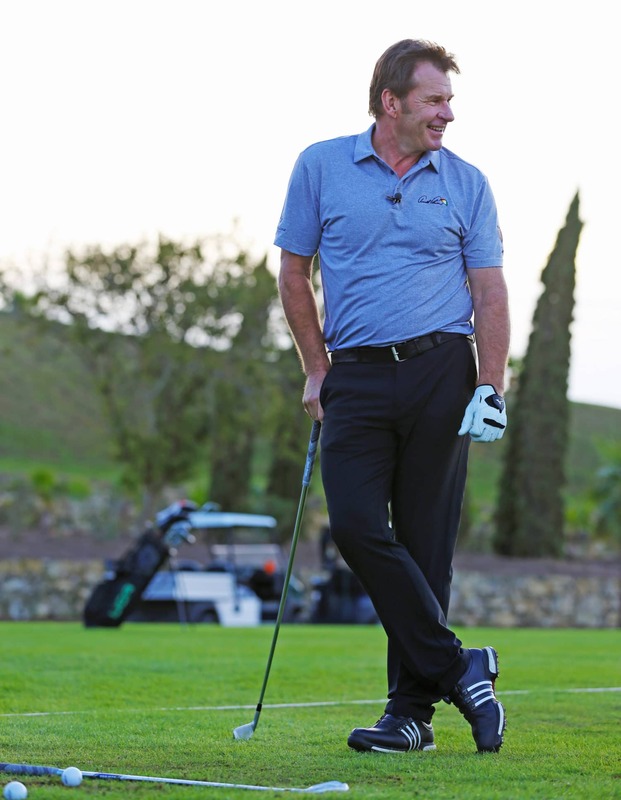 We want to thank Sir Nick Faldo and the Faldo Series team for the opportunity to team up with them to sponsor such an amazing event. With the success of this inaugural event, we are confident next year the field will continue to grow as more junior golfers from around the world will be offered the opportunity to participate.